An Australian man has been sentenced to life in jail for murdering six people and injuring 27 more in a vehicle attack in Melbourne. James Gargasoulas, 29, deliberately ploughed a stolen car into pedestrians in the city centre in January 2017. He later told a court in a confusing speech that he had carried out the attack after receiving a premonition. On Friday, a judge described it as one of the worst mass murders in Australian history. “You made no attempt to avoid people or to slow down. You simply ploughed through them, quite deliberately,” Justice Mark Weinberg said, according to a report by Seven News. The attack killed three-month-old Zachary Bryant, Thalia Hakin, 10, Jess Mudie, 22, Yosuke Kanno, 25, Bhavita Patel, 33, and Matthew Si, 33. Gargasoulas will be eligible for parole after 46 years. 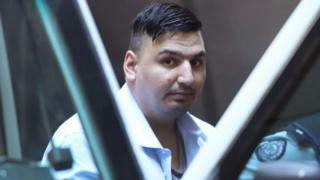 He had pleaded not guilty to the attack on busy Bourke St, but later admitted to carrying it out. During his trial last year, a jury was shown graphic footage of Gargasoulas, also known by the name Dimitrious, targeting pedestrians at speeds of more than 60km/h (37mph). His youngest victim, Zachary Bryant, was struck alongside his sister in a double pram. Miraculously, two-year-old Zara somehow survived being thrown 150m (500ft) through the air. 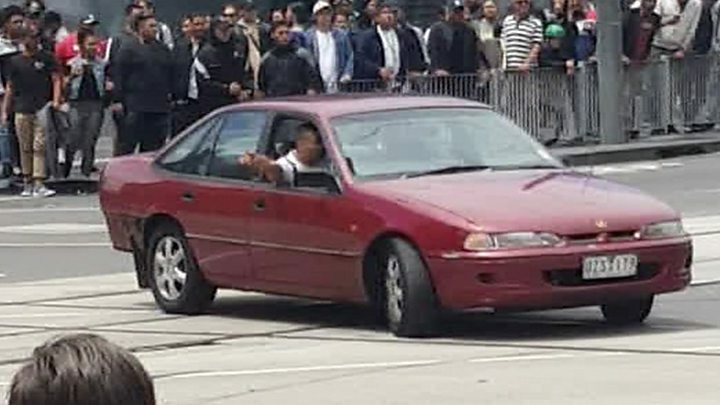 Other footage showed Gargasoulas driving erratically beforehand, as dozens of bystanders watched on. He also read a two-page statement – cut down from 25 pages – in which he apologised for his actions, but also rambled about subjects such as the “Illuminati” and government “oppression”. A jury took less than an hour to convict him last year, after what prosecutors called “the clearest case of criminal liability that you will ever come across”. 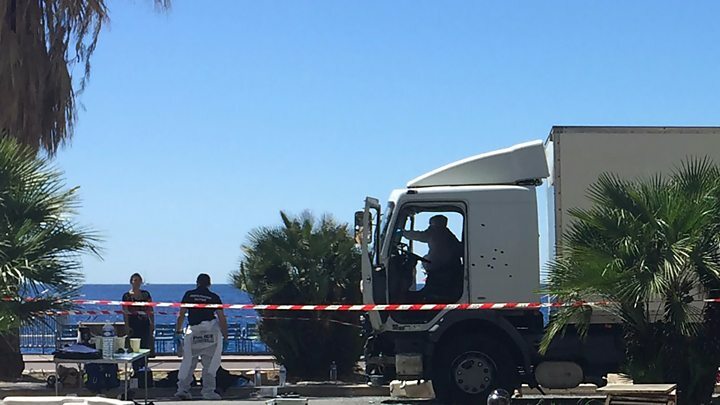 Media captionCan vehicle attacks be prevented? In his sentencing remarks, Justice Weinberg said Gargasoulas’s actions were not caused by mental illness, noting the killer had been in a drug-induced psychosis at the time. “You knew full well what you were doing,” Justice Weinberg said. Several relatives of the victims had spoken of their devastation in court. Masayuki and Minako Kanno said they were living in “deep pain and sorrow” after the death of their son, Yosuke, a Japanese student who had been studying in Melbourne. The city later installed concrete bollards and added more security measures, however it was rocked by another vehicle attack in December 2017. Three months ago, Bourke St was the scene of an unrelated terror incident that left one victim dead and two others injured.